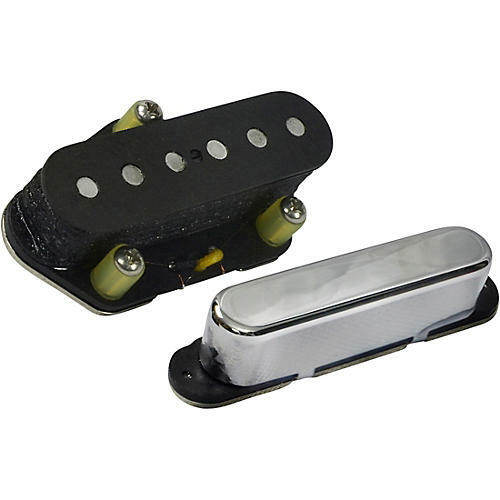 Mojotone “Quiet Coil” Tele pickups are some of the finest hum-cancelling pickups ever made, giving you all of the response and dynamics of a true single coil without the hum. You never have to compensate your tone for hum-cancelling pickups again. The all new patent applied for Mojotone ‘52 “Quiet Coil" Tele pickups are designed to sound like vintage 1952 Tele pickups without the 60 cycle hum. They beautifully capture the liveliness and clarity of a ‘52 Tele pickup with that open twang associated with many of the best sounding early '50s Tele pickups. Carefully balanced in output from the neck to bridge positions, and completely hum-canceling in ALL positions. (Set of 2) ‘52 Tele Quiet Coil neck and bridge pickups.